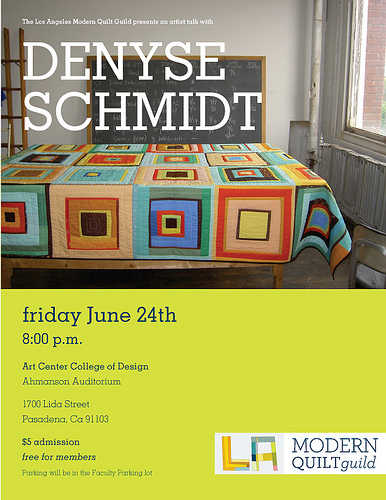 Denyse Schmidt is coming to speak to the LA Modern Quilt Guild tomorrow night and everyone is welcome! The talk is free for paid members of the guild and just five dollars for everyone else. I am very excited. 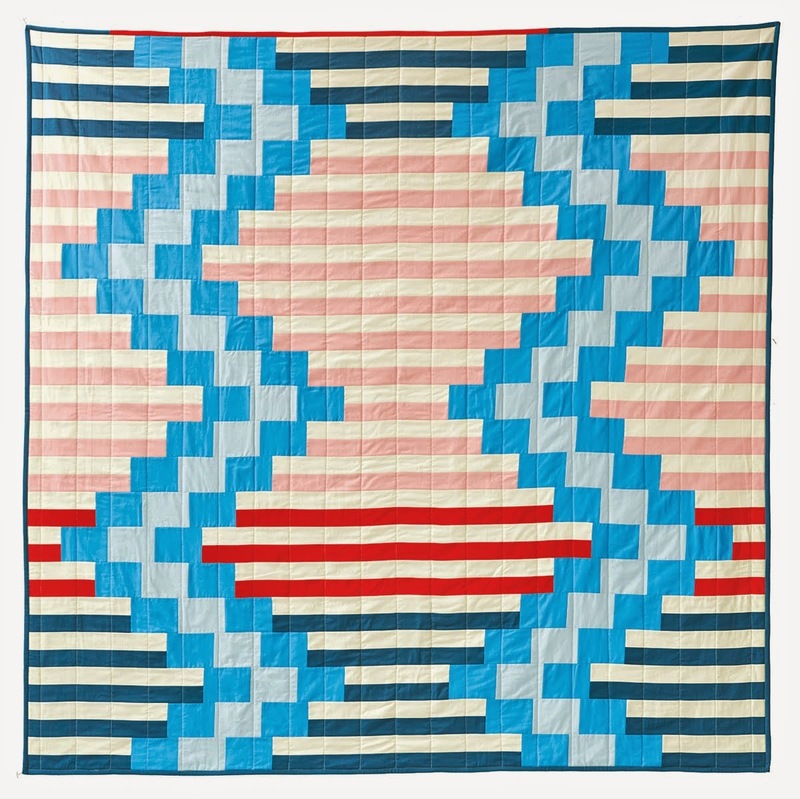 Denyse's quilts were the first to really inspire me to try quilting and to this day her book is my favorite quilt book. So come if you're in town! Eight o' clock at the Art Center College of Design, Ahmanson Auditorium, 1700 Lida Street, Pasadena. My good friend Trisha Gum along with artists from the crew of Robot Chicken are hosting an art show to raise funds for the production of Trish's first live-action film "Losing Ferguson", part of AFI's Directing Workshop for Women. The show is from 6-11, Saturday night at Hold Up Art, 358 E. 2nd St, LA. Harv donated some of his toy photography and I made a series of miniature quilts. 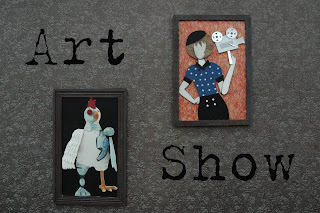 This was a tough show to make something for because I wanted to give something that would sell, since the whole purpose of the show is to raise money. The series is called "Ferguson's Cabin" after the film. As you can see, they are all simple log cabin blocks, made up in fun, modern color palettes. 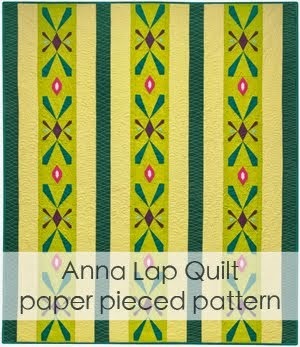 The quilts will be available individually but you can get a deal if you buy more than one. So if you live in LA please stop by, support the film and take home some art! 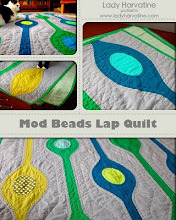 Oh my, what beautiful quilts! I love, love, love, them all!! Also love your new header! Love love love those log cabin blocks. Every single one of your mini quilts is fantastic!!! I love the design with the crosses and the colors you picked are gorgeous!!!!!!!!!!!! Drat! We moved out of L.A. last year. they are a really cool set! miss you! come back soon!! Love those log cabin blocks. 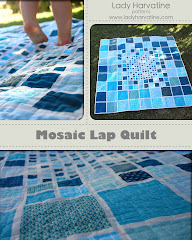 Your mini quilts are fantastic! I'm very interested in how you made your label for these blocks. It doesnt look like it's just written on. Did you sew the letters from your machine or another technique I need to hear about? Thank you for your help! Hi Staci, I ironed fabric to freezer paper in order to stabilize it and ran it through my inkjet printer. Then I used it to make the binding.